Matt, the owner of Brewski Bar in Brisbane, was a busy man in the run up to Brewsvegas. As the Pint of Origin host for Victoria, he had a huge number of breweries' beers to pick from and decided to some collabs to his mix for the week too. 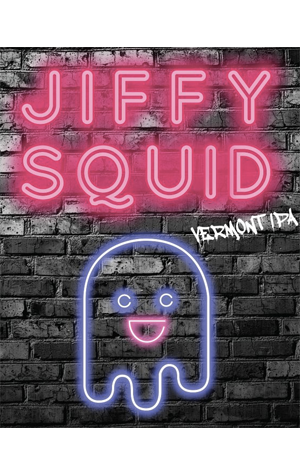 Among them was Jiffy Squid, created with Mornington Peninsula Brewery, a take on the Vermont or New England style IPA that's popping up with increasing frequency. For theirs, they plumped for some of the juiciest hops they could get their hands on – Amarillo, Citra, Mosaic and Galaxy – and loaded them up late to ensure maximum fruit (they're opting for "passionfruit, mango and pineapple"in terms of the fruits you'll pick up) and minimal bitterness. As for the name, we'll leave that to Screaming Jay and Tom Waits.